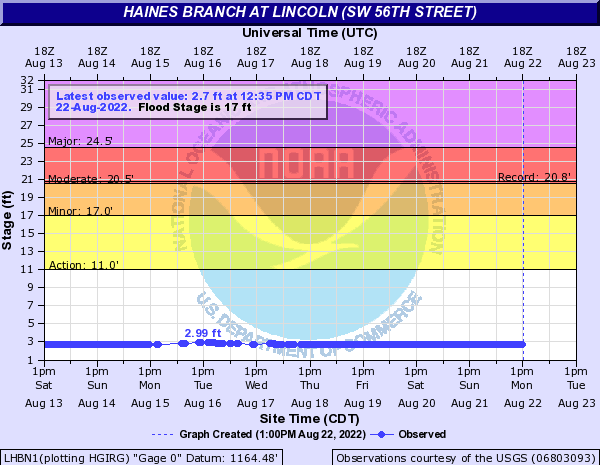 USGS Current Conditions for USGS 06803093 Haines Branch at SW 56th St at Lincoln, Nebr. USGS 06803093 Haines Branch at SW 56th St at Lincoln, Nebr. Downstream view from USGS gaging station: Haines Branch at SW 56 St at Lincoln, Nebr.